Intervju med Larry Harris, han var kusin med Neil Bogart och tillsammans med honom startade de skivbolaget Casablanca 1973. After many years of people asking me if certain things they heard about Casablanca were true I decided I better write what I remembered down before I started to forget them. I wrote just random stories and then over the years compiled them into some kind of cohesive flow. I put it all away for years and then during a down period I began to put it into a book form. It took about 10 years to accomplish this. The book is filled with not only lots of inside info on the bands but also the day to day goings on of the record label itself which was wilder than even what most people would imagine. Was the old adage of ”If you lived through the 70s you don’t remember it” an issue in piecing together the book? When I wrote the stories I did not think so , but after the book came out people began to tell me what they remembered and sometimes certain facts differed- I still think my memory was correct as everyone sees things thru their own minds eye and what was important about a certain event to me may not have been for them and visa versa. There were both rock and disco rosters on Casablanca. Did that kind of mixture ever lead to any interesting encounters or relationships between the acts or the label staff? There was a rock contingent at the label and a disco contingent- I had to straddle the line for the sake of continuity of the label. Some of the rock people hated the fact that we had so much disco stuff and they even balked at some of the R&B stuff but once we had hits everyone was happy whether it be disco, rock, R&B or comedy stuff like Robin Williams or Rodney Dangerfield. I was really more in the rock camp and tried my best to get us some additional rock acts but due to the fact we were so heavily associated with disco it was hard for us to convince rock acts to sign with us. I was offered both Billy Idol and Billy Squier but due to the fact that they were both managed by Bill Aucoin, who managed KISS and Sean Delany, I decided it would not be a great idea to load up our roster with only his acts and he was asking a great deal of money for them anyway , more than I thought we could afford. There were never any outright confrontations between the rock and disco groups though…everyone wanted the label to succeed so they pulled together. 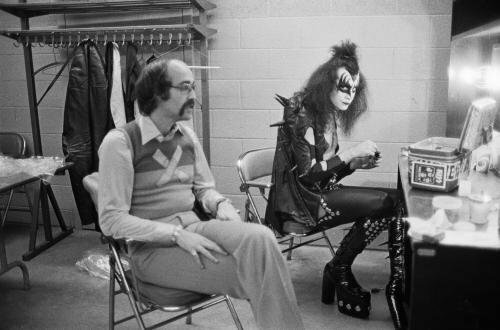 It’s a known fact that KISS took quite some time and quite a bit of money to break as a band. From what you could tell did any of the other acts or label employees start to express annoyance or resentment towards the efforts to break KISS?? Nobody at the label ever mentioned it and I do believe , especially in the early days they all knew that the band could deliver that live performance that would be so important to garner those die-hard fans that eventually helped break the band. And beside that, we had no choice as that is what we had to do to break them…so we went after it..I would also doubt that other bands would complain as that would have put them in a very tenuous potion to stay on the label. Negativity was something Neil Bogart would not put up with. Beside all that, we spent tons of money on ANY artist we got a glimmer of success with, some made it others did not. The band was helped considerably by Sean Delaney not only with staging concepts but also with songwriting even. To what degree do you think Kiss owes some of their success to people like you, Joyce and Neil Bogart, Bill Aucioin or Sean Delany? Do you think they would have eventually made some mark without those early ”helpers”? I would say it was an equal partnership in all respects…. without Sean working on the show and writing with them they would have suffered. Aucoin was the perfect manager for them and Joyce’s relationship with Neil was something that helped to keep the checkbook opened to them during the breaking of the band period. I feel that the favors we called in and concepts that Neil and I contributed, along with a ton of money was instrumental to their success. Remember, no other label wanted them in fact CBS records ( now SONY) paid for a demo when they were called Wicked Lester ( many of the same songs that appeared on the first album) and passed on the band. Saying all that, without the bands willingness to stay out on the road and at the same time deliver an album every six months along with never really complaining about the crazy things we asked them to do certainly was instrumental in their success. Casablanca were sort of forerunners in terms of marketing and merchandising aside from just putting out records. There is not a day that goes by that one of us doesn’t dream of using those merchandise order forms inside the KISS/Angel albums, although at this point we’re pretty sure we wouldnt get the merch. Whose idea was that to start including things like that inside the sleeves and have you ever been inside those warehouses that actually housed the product? Not only Kiss and Angel but Donna Summer, Parliament and Village people all had merchandising offers in their albums. It was just something that seemed to be a natural fit for us at the time. It began with the KISS Army kids demanding stuff from the band and we just took it from there to other acts and going as outrageous as we could with things like pillow cases for Donna and comic books for Parliament. I was never at one of the storage facilities but we did get samples of everything!! Your bands worked on lots of promo films in the pre-MTV era. There are lots of those early promo clips of your acts on the Casablanca youtube channel and you put out a great VHS years ago. What is the status as far as actually getting a proper DVD/blu ray release of that material, even if it doesn’t include KISS? No chance at all..just getting the legal approvals would be a nightmare. Angel’s manager had already been aware of and talking to Casablanca by the time Gene ”discovered” them. 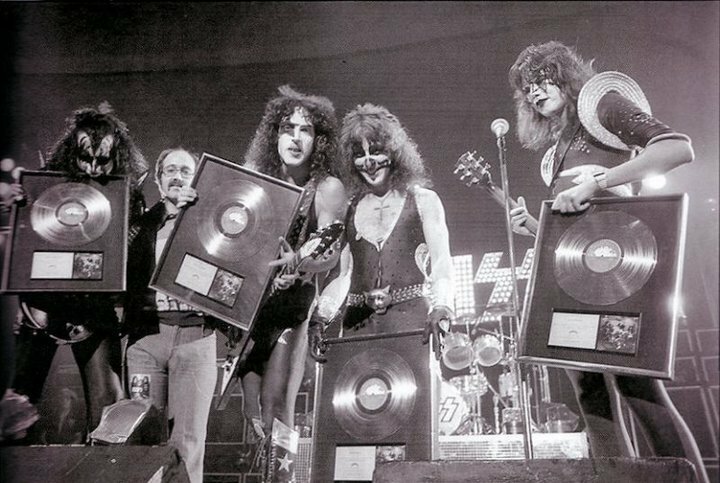 What was the label’s vision as far as getting behind the band, was there one person more than others that championed them and wanted to spend the money to develop their stage show and set them up to succeed ala KISS? I know the Gene story about him calling Neil in the middle of the night to tell him about Angel…… NOT TRUE- and even if he did at that point KISS had not broken and Gene’s recommendation would have meant little- why did he not mention Van Halen to us???? There’s another band he supposedly found..The reason we signed Angel was that their manager David Josephs was managing another act we had on the label The Hudson brothers, who we loved and had so much fun with and David kept buggin us on Angel . Eventually we thought it would be a good idea to have a band that was kind of anti what KISS stood for – all white outfits , good looking, melodic, etc.- problem was they did not seem to know how to write HIT songs and their onstage gimmickry was just not accepted by many rock fans. Both Neil and I were behind them totally and kept with them till the end of our stint at the label. It was a very different time as far as publicity went for a band. This was pre-MTV, pre youtube and ”web” publicity. It must have been a fantastic time for those early rock writers who got to deal with the label and the bands and for the girls working publicity back in those days. Was there a sense of ”Sky’s the limit’ as far as getting the writers and disc jockeys on your side? John, everything at Casablanca was ”THE SKY’S THE LIMIT”- publicity, promotion, advertising, tour support- we went the distance on everything we could- we flew everyone first class and limos all over the place – we wanted to standout as the funnest label ever and I think we accomplished that- we did that to a smaller degree at Buddah Records with bringing in DJs from all over the country and writers to a gig we paid for in conjunction with WNEW , their first Christmas concert that we conceived – we did that to break Genesis.. Hindsight is of course 20/20 but looking back were there feelings that KISS might still be at it decades down the line, selling out arenas; albeit without Ace and Peter….did any of you think that far in advance? We did not think that far in advance and in those days no one ever dreamed KISS would last so long. No one thought the Stones would still be doing it and the Eagles or any rock band…I am still amazed that Gene and Paul can climb the stairs to the stage…… let alone perform for a long set at the pace they do. Angel has, at this point, achieved a legendary ”Cult” status and also released a catalog of albums and had success in Japan, etc… and KISS is of course, KISS……what were some of the ROCK bands that you guys were REALLY into that didn’t work out and why do you think it never happened for them? Hudson Brothers- problem was their TV show was geared to kids and so although they could really rock they were never seriously considered by rock radio as a legit act!- we signed a band called Stallion that just had the wrong producer and management..also had Trigger, good band just timing was off as we were in the midst of the disco explosion and they took a back seat..The Godz made some noise but due to problems erupting at their label we distributed and financed Millennium HUGE success was not to be. 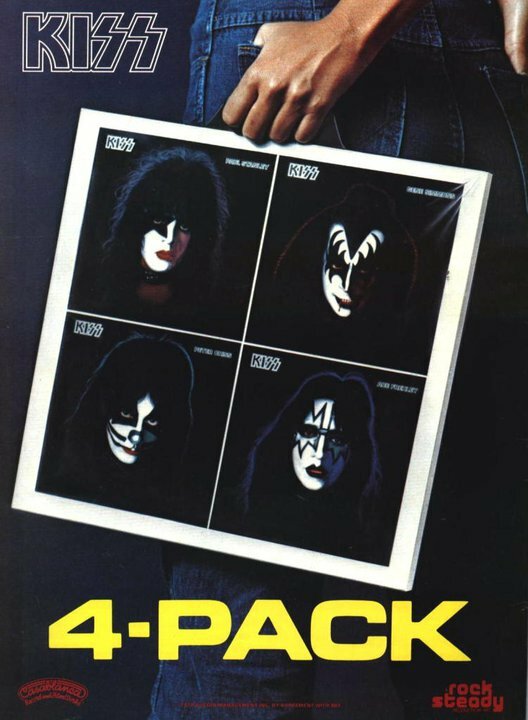 The KISS solo albums have been described as both a highlight and as a breaking point by several of the members, they were initially considered something of a flop commercially and had lots of cut outs but have since redeemed themselves in terms of sales. For the record, how did the concept of simultaneous solo albums come about and was it just a peacemaking move to keep the band from killing each other? As I mention in the book – we were told the only way to keep the band together was to do the solo albums…….so we went for it and in typical Casablanca fashion, we did it over the top which did not work at all and was one of the contributing factors of the labels demise. By the way ….they were not considered something of a flop they were a major FLOP. Thanks for talking to us, EVERYONE needs to check out ”And Party Every Day” to really get a sense of the 70s. Last question….the solo albums were timed to come out and coincide with the INFAMOUS movie ”KISS Meets The Phantom”…..what, if anything do you recall about the day to day goings on during the time that our ”favorite” movie was being produced?????? I remember the movie sucked ! !– the band could not act to save their lives- The albums were not conceived to come out with the movie it just worked out that way….we hated the movie…. that is one reason why it did not come out on Casablanca’s film division. 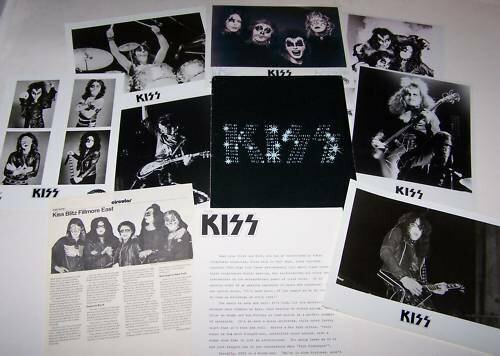 Also at that time we had a lot less to do with the band as Aucoin and KISS had become so rich they had their own company to handle press and promotion, a company that we banged heads with numerous times.